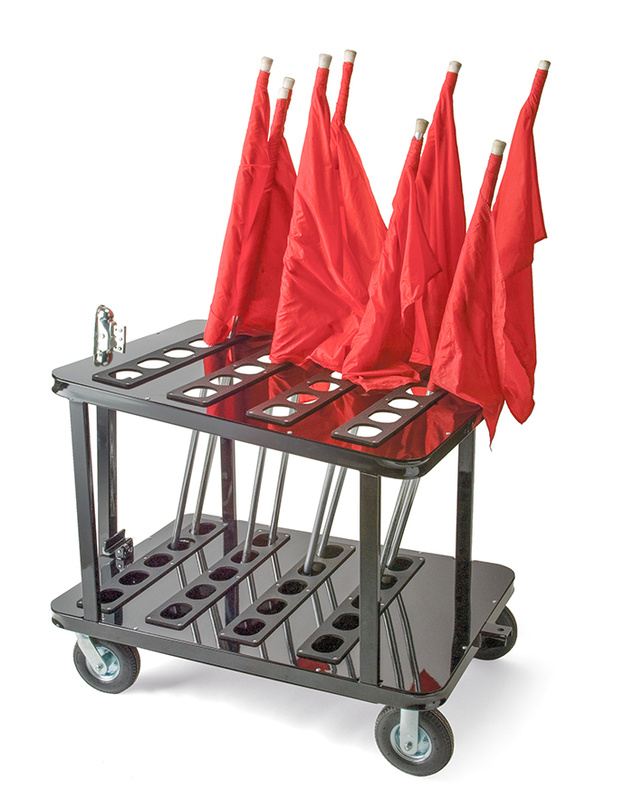 The Marching Band Flag Cart has a capacity of 80 flags with sectioned off storage complete with room for labeling. Also stores other accessories used by the color guard. 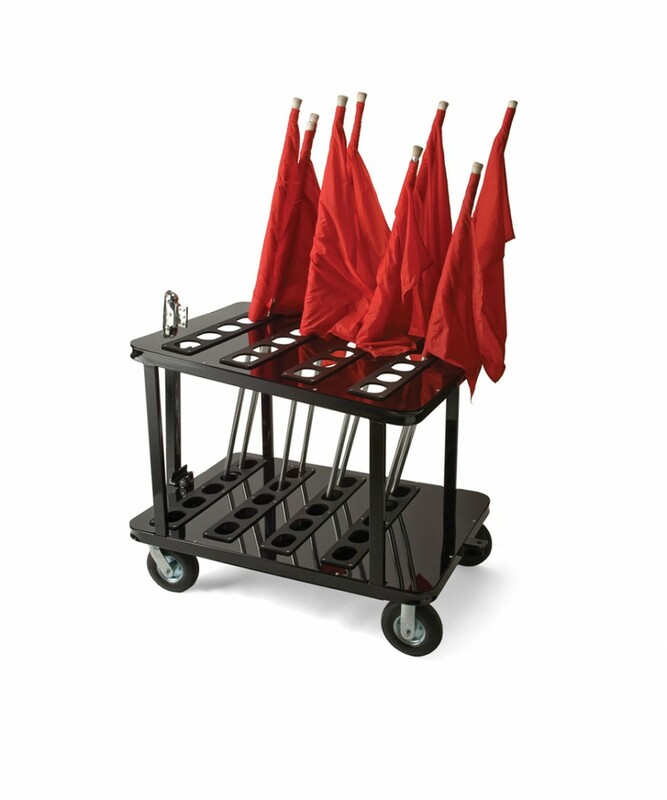 Read our post about the advantages of marching band carts here. 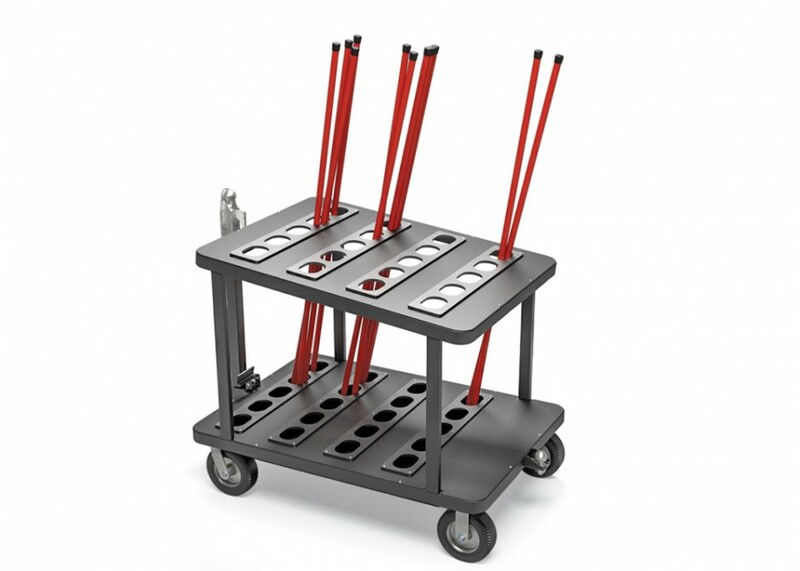 Large foam-filled casters allow movement on all surfaces. 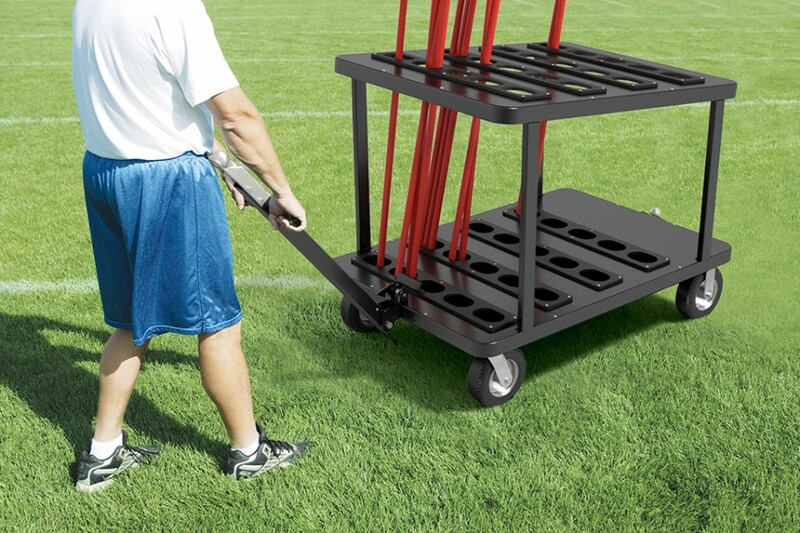 Handle allows the cart to be either pulled or towed. Locks keep the cart stable during removal of flags. 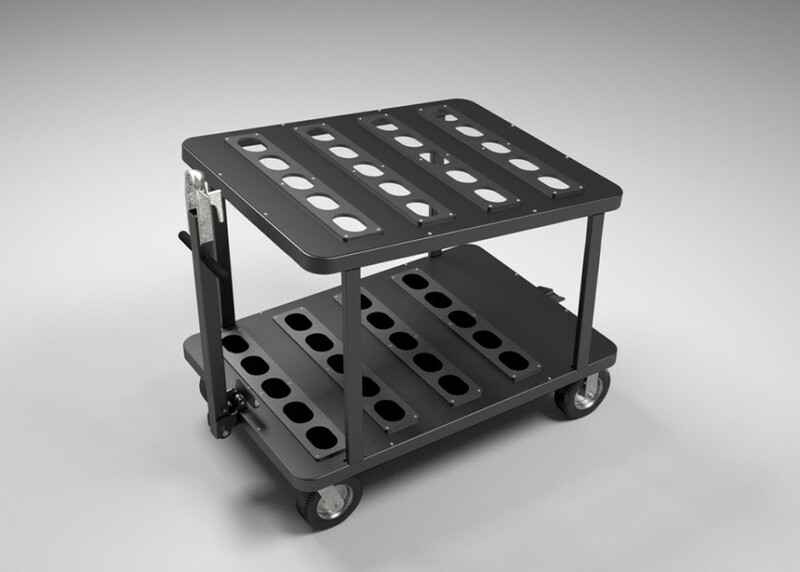 In storage position, easily transport through standard doorways. Powder coat paint gives a polished look and a long-lasting finish• Special order colors available to match school colors. Pull bar locks to prevent performers from tripping. Casters lock to keep cart stable. Rounded tubular steel protects those loading and unloading. Plastic barriers protect poles when storing and removing. Pull bar locks for compact storage. 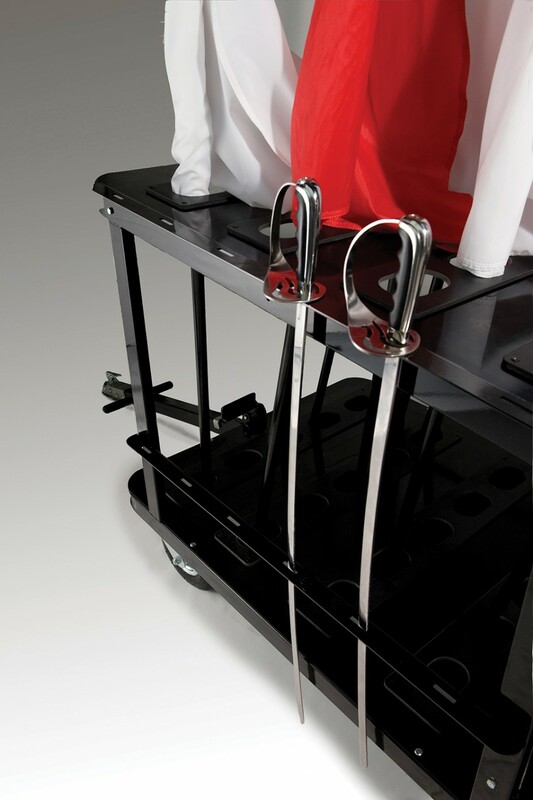 Locking casters ensure stability during storage. 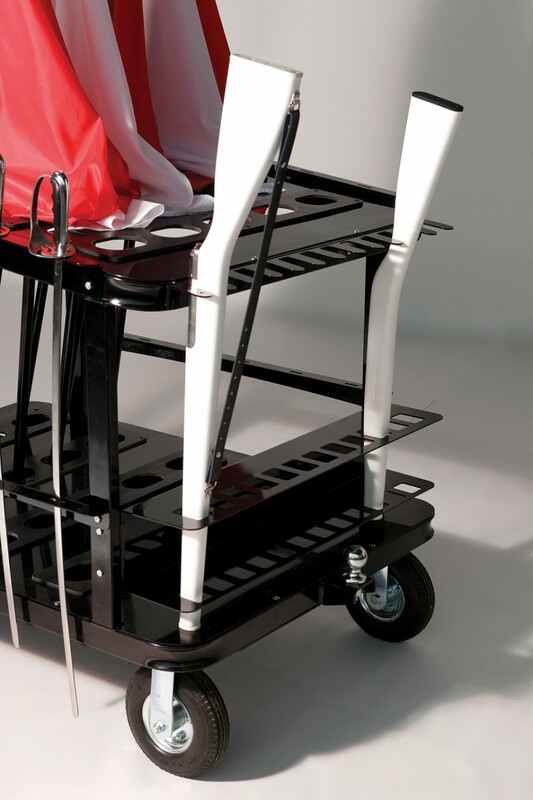 Easily move to and from storage as the cart easily fits through standard doorways. 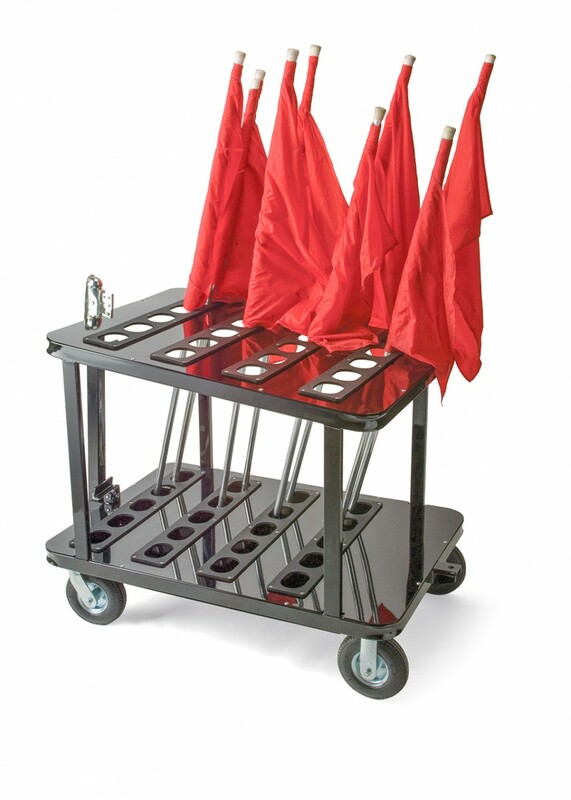 Join the marching band carts to create a train for faster deployment. Rounded tubular steel prevents catching on corners.